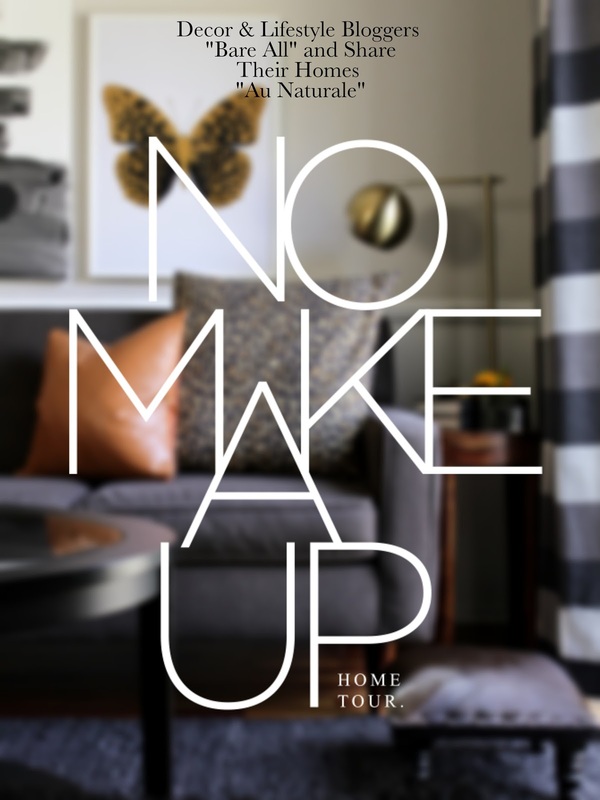 Oscar Bravo Home: No Makeup Home Tour - decor bloggers bare all and share their homes "au naturale"
Although I LOVE social media and find it to be hugely inspiring to me, I know that in some cases it can be damaging to someones confidence if they are playing the "comparison game". You know, that game where you compare your life to someone else's. That "grass is always greener" thing. WELL, GUESS WHAT. NOBODY IS PERFECT. If you know me by now, you know that I want you to have self confidence in everything that you do. I want you to love yourself and I want you to love your home and I want you to care for your home and treat it well and with respect so that in turn your home nurtures YOU. I also want you to know that its OK to not have the "perfect" house and have every single room look picture perfect. Is it ok to live in a pigsty? No! But, there will always be something to clean, something to fix, something to re-decorate. When I present to you pictures of my little duplex, I want to show you the best that I can do. I want to set the example for you to tell you, YEAH -YOU CAN DO THIS TOO! But OBVIOUSLY it takes work to get my home to look its best. This time though, I'm sharing my home in it's "natural state" and talking about some home decor blogger misconceptions along with a bunch of super-talented home decor bloggers in this fun blog hop! *Shout out to my friend Kyla from House of Hipsters for putting this all together! I can't WAIT to see what my blogger friends are sharing and I urge you to check them out too! Living part of my life through social media, I've experienced some weird comments from total strangers. Most are good, but some of them leave me puzzled. One comment that I won't forget was "When I'm rich I'm going to have my house look like this" HAHAHA! Well, I think that's amazing that they thought I was rich but trust me, I'm not 😂 I just have decent taste AND the patience to look for deals. Like, I only paid $16 for each curtain panel in my living room. HELLO! And that's part of my message to you. Who said only rich folks can have pretty houses??? Another comment/misconception I constantly see on social media is "maybe with no kids this would be possible". OOOKAAAAY..? Don't get me wrong, these kids of mine are dirty little creatures that leave a mark wherever they go, but we have set a cleaning schedule so that the mess is gone after 24 hours, LOL. IT TAKES A LOT OF EFFORT FOR MY HOME TO LOOK GOOD 😩 BUT TO ME, IT'S WORTH IT. Another misconception I get is that we don't "use" our house. Well, we do! Isn't that the point?! I have week-old party decorations to prove it! When we do have parties, we have to be very conscientious of the amount of people we are inviting because our house is rather small and we don't have a backyard. As far as outdoor space, we only have a tiny patio in our front yard. The size of our home doesn't stop us from having a get-together, though. We do what we can to fit people comfortably. If you're like me and are spaciously challenged, don't let that stop you from having parties! All you have to do is figure out how many people you can seat in your home and go from there. One day I will have matching appliances from this decade, beautiful tile and all that jazz but right now it's just functional. There's a lot of positive things about my laundry room like the fact that it's upstairs near the bedrooms, that it has spacious cabinets and drawers, a sink and is perfectly functional. Next to the laundry room you will find my master bedroom where you are greeted by gorgeous sunlight and a beautiful palm tree. read about my love/hate relationship with houseplants HERE. Well, it was beautiful a week ago. Too much sunlight maybe?? Stupid palm. I really thought it was going to live longer than the 6 months I had it. 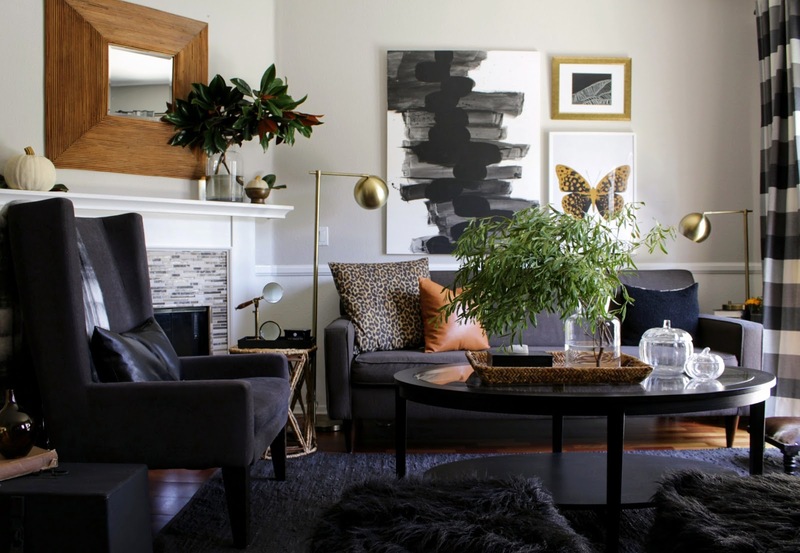 Believe me, nothing zaps the freshness out of a room more than a dead plant. Don't let this happen to you. Replace (exchange) dead plants immediately! I talk a lot about how important it is for me to have all the beds made every day but I must admit, sometimes I don't get to it for whatever reason. Maybe I was running late to work... or someone took a nap on it, you know what I mean. But, I ALWAYS feel guilty when I don't make my bed. It's my parents' fault. My parents made me make my bed EVERY SINGLE DAY. The good news, I taught my kids how to make their own beds so I don't have to make 3 beds a day. They haven't mastered it yet but still, I appreciate it. Sometimes I go back and fix them and sometimes I just leave them as-is. 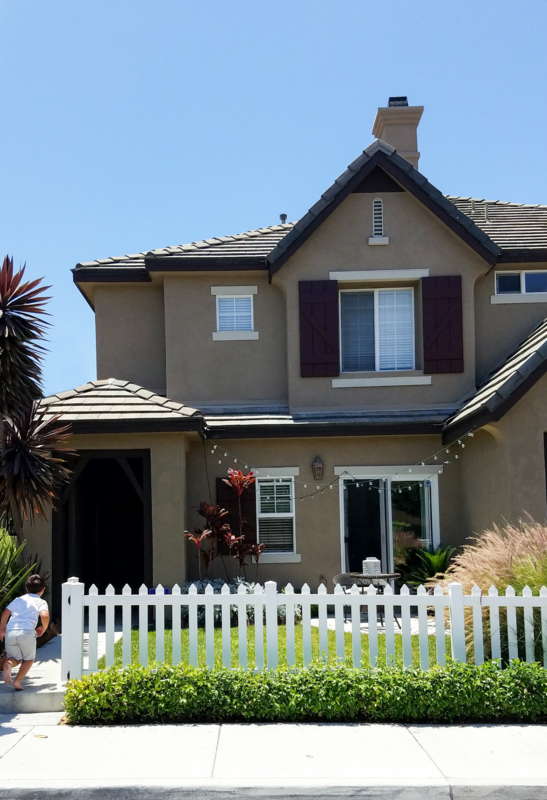 My house, my family, me, NOT PERFECT and I'm totally OK with that. Obviously I try to make my house look clean and put together as much as possible but I'm human and some days I just want to lay in bed and do nothing but I make sure I snap out of it because I know my livelihood and confidence comes from my surroundings and neglecting my home takes a major toll on my self-esteem. *Need tips on keeping your home clean and organized? (You're probably like, "not from you after seeing these pictures" 😂) Trust me, I have some good tips, just click HERE to see. 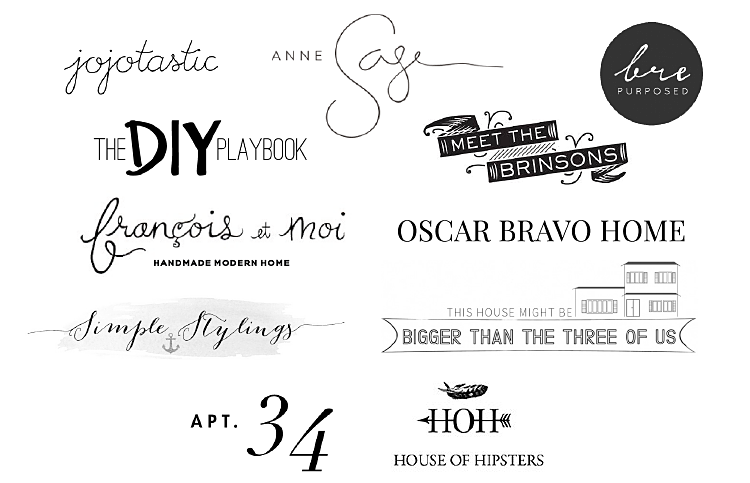 Don't forget to pay a visit to all these bloggers revealing the good, the bad, and the ugly of their homes. I have them all linked below for your viewing pleasure. Hooray for dreaming about matching appliances, basic laundry rooms, dirty socks and week old party decor!!!!!! I love this so much and your home is gorgeous inside and out! 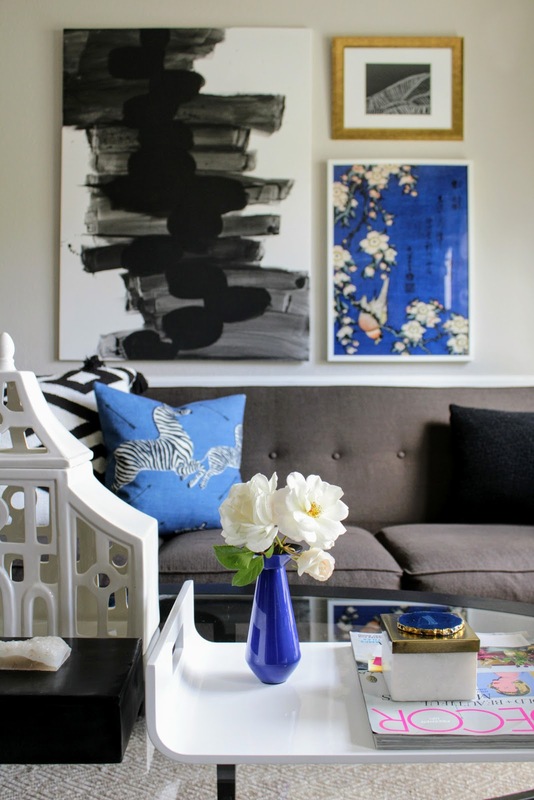 I love your thoughts on entertaining in a small space and I agree 100%! Our home is small too and that definitely doesn't stop us! Love your writing style Oscar!! I can relate to it, from one fellow writer/design blogger to another. I LOVED the humor in it. Great Post & Great Read!! I'd love to have you visit my blog as well and hope that you'll check me out from time to time.